The Access Community Health Centers Behavioral Health Consultant Post-doctoral fellowship (also called Primary Care Psychology) offers the opportunity to work in a fast-paced primary care setting within a well-established, integrated program. We work within the Primary Care Behavioral Health (PCBH) model (Robinson & Reiter, 2007), as Behavioral Health Consultants to primary care providers. Post-doctoral fellows will learn brief assessment and intervention skills to improve the health and functioning of a culturally diverse patient population across the lifespan training collaboratively with the University of Wisconsin Department of Family Medicine and Community Health. Interest in working with underserved populations and an appreciation for cultural diversity. Strong ability to multi-task and demonstrate flexibility to adapt to a fast-paced team environment. Knowledge of behavioral or cognitive-behavioral therapy and brief interventions. Previous background or strong interest in primary care including behavioral medicine. Interest in working with a wide variety of presenting problems (depression, diabetes, chronic pain, insomnia, tobacco use, parent-child problems, etc.) and populations (children, couples, older adults, etc.). Our staff includes psychologists and licensed clinical social workers who work in our three Madison clinics. We utilize a “consultant” model, in which the goal of patient visits is to augment the usual primary care by ensuring a well-rounded biopsychosocial treatment plan. We provide individual, group, and family interventions and work in close collaboration with primary care providers in a fast-paced multidisciplinary setting to develop a plan the primary care provider can follow-up on. Visits are targeted (15-30 minutes), limited in number (1-4 generally, but can be more depending on the needs of the patient) and focused on functional restoration. Our assessments and interventions are appropriate for the primary care setting. This is a great position for fellows who are interested in an integrated model of care that has the potential to become a fixture in primary care clinics of the future as the new standard of care. This fellowship training opportunity will provide an exciting, challenging, rewarding and stimulating opportunity, in a supportive and enjoyable team atmosphere. Fellows will have a strong balance of autonomy in providing clinical services, while also having readily available supervision and guidance when needed. 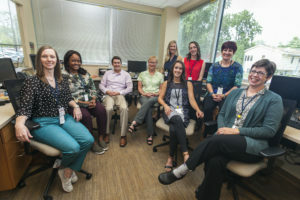 A key part of integrated behavioral health care is collaboration of the team and mutual respect for all disciplines (family medicine, psychology, psychiatry, etc.). Madison is an affordable place to live, with many opportunities for work and play. Amenities include the Overture Center for the Arts in downtown Madison, and Madison’s well-known restaurant scene. Outdoor enthusiasts will enjoy the variety of activities available in this bike-friendly city, including water activities on the lakes around the city. Sports lovers can follow the Big 10 sports with the UW-Madison’s Badgers. Read more about Access Community Health Centers and our role in the community.